The Source: Recreation - It’s contentious. It’s litigious. It’s fun! 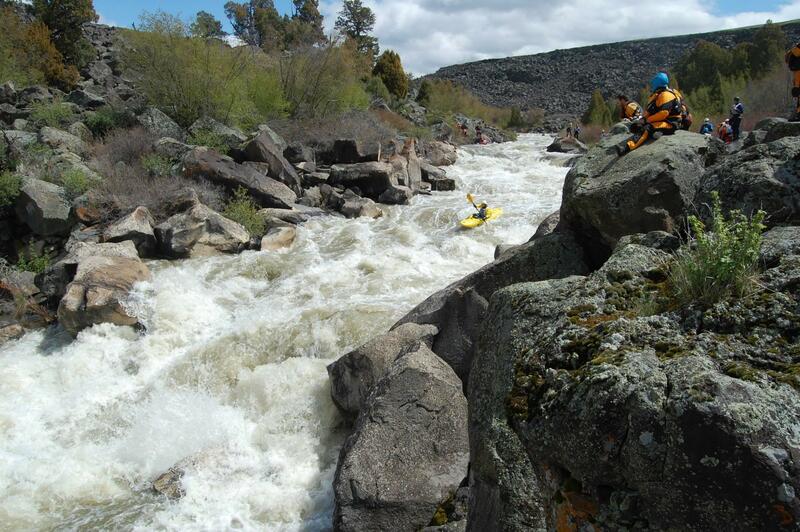 A kayaker races down water released from a dam during the Black Canyon of the Bear Whitewater Festival. According to the Outdoor Industry Association, recreation generates over 120,000 jobs in Utah. It brings in $12 billion in consumer spending each year and nearly $1 billion additional in related taxes. 82% of Utahns participate in the outdoor recreation economy each year and that doesn’t include hunting or fishing. In this program, we look at how to value recreation in the hierarchy of water uses. Whether it’s skiing, boating or fishing, a lot of us recreate on the water, but do those activities trump uses like irrigation, power generation, or drinking water? We’ll look at three specific cases where recreation comes into conflict with other uses of water and some of the ways groups have resolved those conflicts. It’s contentious. It’s litigious. It’s fun! It’s recreation and water on The Source. Listen to the full program of UPR's "The Source: Recreation." Water spills out of the Grace, Idaho, dam during a recreational release on the Bear River. 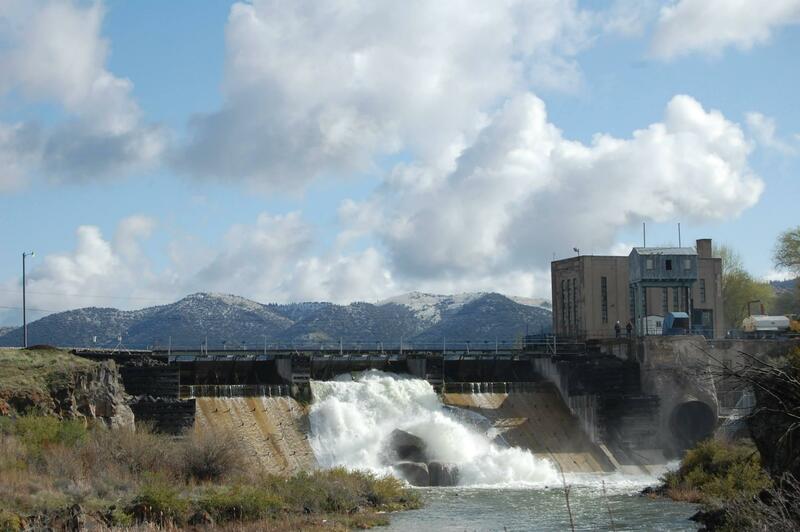 Water is a public resource and dams often just “borrow” it while they’re generating power. But when that water is impounded in reservoirs or forced into pipelines, it’s temporarily not available in the river for boating. Jennifer Pemberton talks to Charlie Vincent, a volunteer with American Whitewater. He’s spent countless hours over the years in dam relicensing meetings advocating for “recreational releases” of water for kayakers to enjoy. She also talks to two representatives from dam-operator Pacificorp and asks them why on earth they’d spill water from a dam just for fun (hint: because they have to). Sometimes when water crosses invisible political lines, tempers and lawsuits ensue. Currently in Utah, recreationalists are forbidden from walking on stream beds where public streams run across private lands. Some say this basically limits the public’s right to use nearly half of all Utah’s rivers and streams. A battle has been smoldering in Utah’s capitol and courts for several years now. Ross Chambless tells the story and talks to Kris Olsen of the Utah Stream Access Coalition. 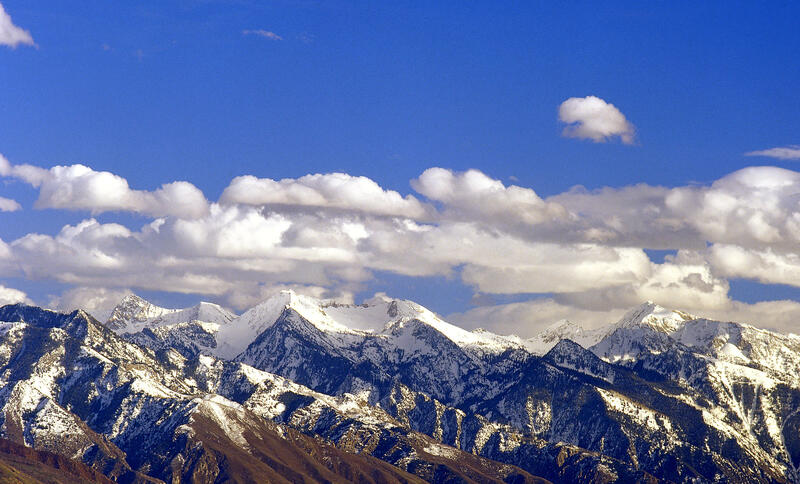 We can’t talk about recreation in Utah without talking about skiing. What’s the most environmentally friendly way of getting thousands of skiers to the slopes and back on any given powder day? How can we keep our reputation as “life elevated” and our thriving outdoor recreation economy without loving our backyard to death? These are the big questions the Mountain Accord is seeking to address. Jennifer Pemberton talks to Save Our Canyons director Carl Fisher and Salt Lake City Public Utilities Water Resource Manager Laura Briefer about what it’s like to sit at that giant table. Hydropower projects borrow water from rivers to create electricity, but while that water is impounded in reservoirs and forced into high pressure tubes, it’s temporarily unavailable for fun uses, like whitewater kayaking. Jennifer Pemberton has this story about prioritizing recreation on the Weber River. At the diversion dam on the Weber River just a few miles up the canyon from the town of Ogden, the water just disappears. There’s a wide swollen reservoir backed up behind the dam, but downstream, there are a lot of exposed rocks with just a trickle of water running between. Because most of the river is in a concrete pipe. With less than half the average snowfall this winter, ski attendance has been the lowest in nine years. But the state’s winter sports marketing group, Ski Utah says this isn’t as bad as it sounds. Between all 14 resorts in Utah, ski attendance hit 3.95 million skier days — which is measured by when a person buys a lift ticket for either the day or night and uses it — this winter. In 2012, two skiers from Jackson Hole, Wyoming, noticed that snow was disappearing from the western U.S. and wondered how long it would be before it affected the mountains in their backyard. They called Porter Fox, a longtime Powder magazine editor and writer, and asked if he was interested in writing a book about climate change and snow.